Acting on a three-part motion made by Mayor Shelli Freeland Eddie, the Sarasota City Commission voted 4-1 this week to accept a master plan for renovating the Bobby Jones Golf Club. The board members directed staff not only to work on components of the plan “that are financially feasible,” as Mayor Shelli Freeland Eddie put it in her motion, but also to look for grant opportunities to help cover the estimated $21.7-million expense. Further, her motion called for staff to conduct community workshops to show the public the various options included in the detailed report. Freeland Eddie said she wanted the golfers and other members of the public “to tell us what they want, whether that’s all, nothing or the scaled-down version” consultant Richard Mandell of Pinehurst, N.C., had proposed. Mandell, who owns his own firm, Richard Mandell Golf Architecture, was hired by the commission in January. Commissioner Hagen Brody cast the “No” vote on Oct. 2, saying the total expense of the most comprehensive renovation project Mandell had suggested “is something that we just can’t afford. 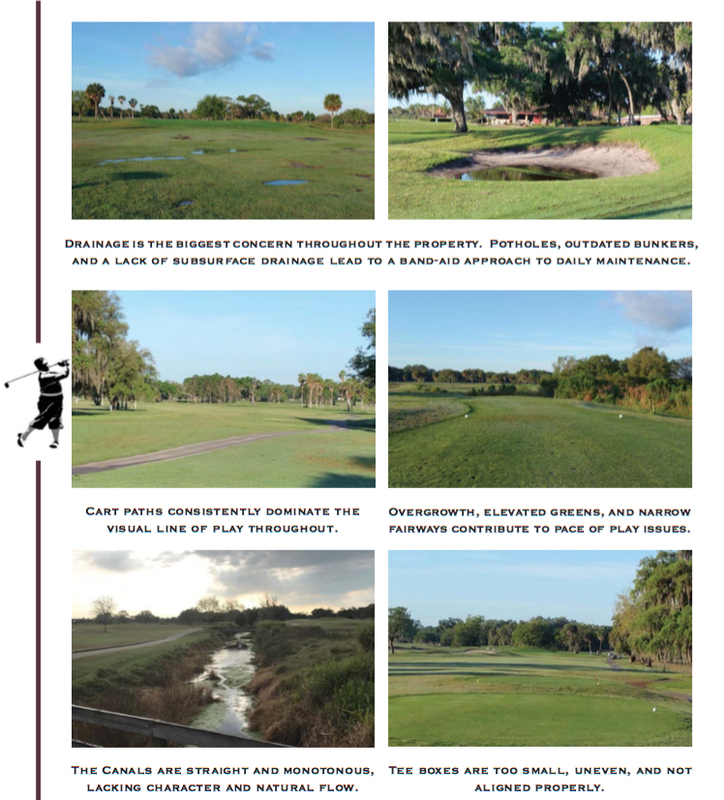 … I want to keep Bobby Jones a public, high-quality course,” Brody added, but with scaled-down options. Freeland Eddie objected to Brody’s suggestion that she revise her motion to incorporate a pared-down version of the plan Mandell had provided the board. If golfers ask the commission to focus on funding specific, scaled-down aspects of the overall proposal, Freeland Eddie told Brody, “Fine.” It would not be appropriate for the commission to tell the golfers what they should have, she stressed. He also broke down potential work into various segments that the city could pursue. Among those are transforming the nine-hole John Gillespie Executive Course into a Play Development Center for people of all ages to learn the game or learn how to improve their game ($2,594,969.24); renovating just the existing British Course ($7,887,268.32); renovating the American Course ($6,030,579.64); and just building a new clubhouse with parking ($4,997,574.50). Mandell even offered pared-down versions of the various project segments, to achieve more cost savings. However, Freeland Eddie zeroed in on the 16 potential grants Mandell and his team identified that could bring in $11,558,559.49. “That’s a very big number,” Commissioner Jen Ahearn-Koch noted. Ten of those grants are associated with the environmental aspects of the property on which the golf club sits, Mandell pointed out. They involve water quality, flood-risk reduction, creation of wetlands, erosion control and habitat protection, among other possibilities, he said. “How realistic is this?” Ahearn-Koch asked Mandell about the possibility of obtaining all the grants he had researched. “I think they all are very realistic,” he replied. Susan Martin, general manager of the club, told the commissioners that the city’s grant writer already had begun researching the list Mandell had created in an effort to determine how the city could qualify for the funds. The board vote came almost two hours and 15 minutes after Mandell began his presentation. Ten members of the public offered differing views on the proposals, with golfers encouraging the board to act on at least some of Mandell’s options and others voicing a variety of reasons the board should not support any renovation of the golf club. Although city resident Martin Hyde — who lost his bid for election to the commission this spring — maintained, “Golf is in decline nationally,” Mandell disputed that. He showed the board a chart that explains the average life certain facets of a course should have and how long it has been since those same features at Bobby Jones have been renovated or replaced. The measures he used for his comparisons, he noted, are the industry standards included in a study prepared jointly by the USGA Green Section, Golf Course Builders Association of America and the American Society of Golf Course Architects. Tee boxes should last 15 to 20 years, but those at Bobby Jones have been in place more than 30 years. An irrigation control system should last 10 to 15 years; the equipment at Bobby Jones is 30 years old. 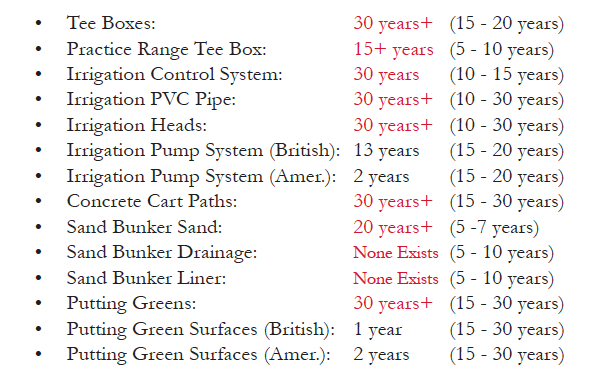 Putting greens should have a life of 15 to 30 years; those at Bobby Jones have been in place more than 30 years. Additionally, while courses should have drainage systems for sand bunkers, none exists at Bobby Jones. “Fairway conditions are the poorest,” he said, based on golfers’ comments. If the top 3 inches of the fairways can be removed, he pointed out, “there’s sugary sand right below the surface.” Water once again would be able to drain easily into the ground, he added. That aeration, Mandell continued, “hasn’t been done on a regular basis as often as it needs to be over the 90 years” the course has been in existence. Mandell also talked about the history of the course, especially the back nine holes of both the American and British courses, which were designed by Donald Ross. As the executive summary of the business plan noted, those were the first 18 holes available for play when the course opened in 1926. 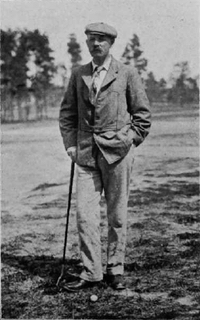 Ross was “arguably one of the top two or three golf course architects of all time,” Mandell told the commissioners. In fact, among the prospective grants Mandell listed to help cover renovation expenses at the Bobby Jones Golf Club, one focused on Ross’ link to the facility. 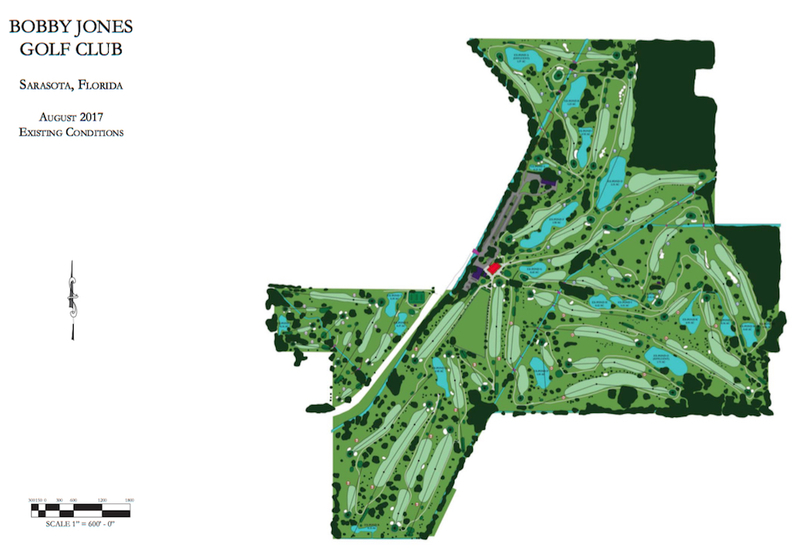 The business plan also includes recommendations for improving each hole on the British and American courses, and it features a number of options for adjusting the proposed Gillespie Development Center’s nine-hole course. Changing the direction of play over those holes from time to time would provide more enticement to golfers, Mandell pointed out, as golfers would appreciate the variety and tend to return more often to the club. Mandell worked with representatives of Fawley Bryant Architecture in Sarasota on concepts for a full-service building, the business plan says. The 40-year-old “commercial public facility has reached [the end of] its useful life,” the plan notes. 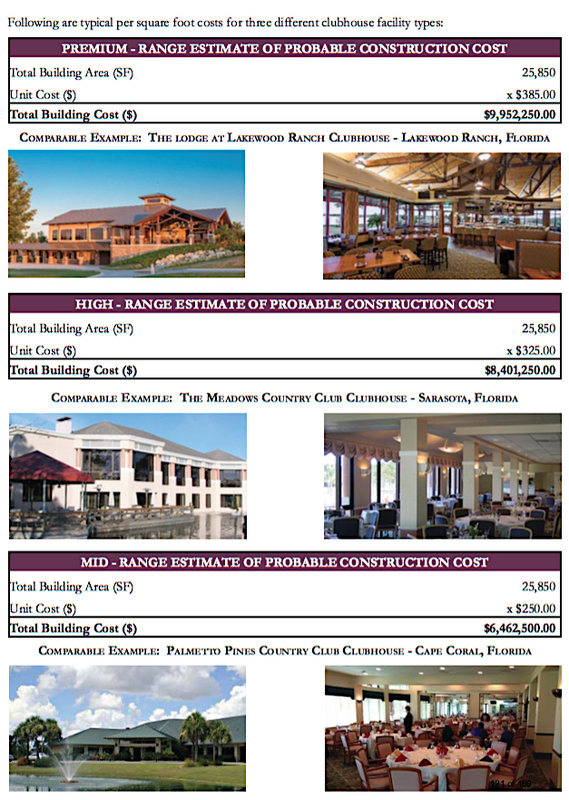 The upper end of expense for a new clubhouse, as proposed in the report, was just under $10 million, with the low range at $3.5 million. Although Fawley Bryant had worked on the basis of a design with 25,850 square feet, Mandell said, his view was “that sounds like a lot.” He reduced the size to 24,081 square feet to achieve the lowest figure in the cost range. The expense per square foot ran from $385 to $175, he told the board.